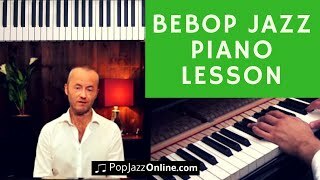 https://www.freejazzlessons.com/jazz-piano-riffs In this free jazz piano riffs tutorial we break down 2 classic jazz piano riffs that every player must know. To get the full lesson tutorial and more please visit the url above. 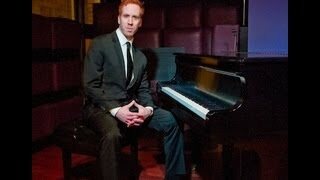 The 1st thing you need to know is that both of the jazz piano riffs feature a 2 5 1 chord progression. The 2 5 1 is the most important chord progression in jazz. 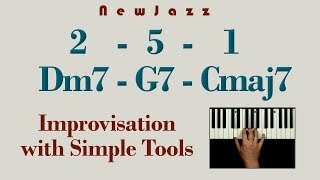 So, it's essential that you have many jazz piano riffs under your hands featuring this chord progression. The 1st lick taught features a Dmin7(b5) G7 Cm7 chord progression. Notice how we're essentially arpeggiating and circling chord tones and then when we get to the V chord we begin to play augmented arpeggio notes. The 2nd lick features a similar chord progression but this time we're in a major key. So, the chords are Fm7 Bb7 Ebmaj7. Both of the jazz piano riffs feature devices that are very common to jazz improvisation. 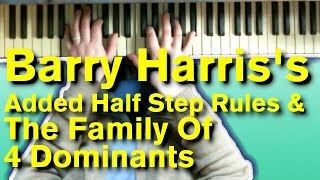 For example, arpeggios, enclosure patterns, altered scale, diminished scale, swing eighth notes, and more. 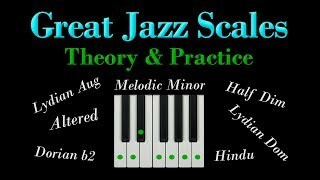 If you enjoyed this free jazz piano riffs tutorial please make sure to subscribe to the channel, leave a comment below and press like. 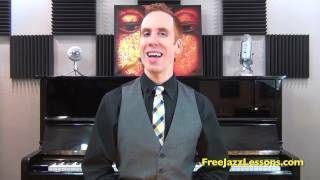 This helps us promote the channel and create more fun jazz piano lessons. 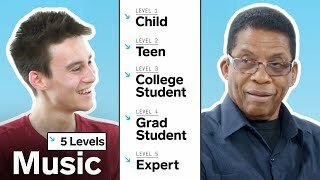 Thanks for watching and see you at free jazz lessons.com! 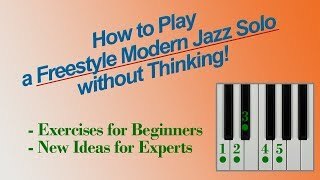 Improvise a Freestyle JAZZ SOLO - without Thinking! 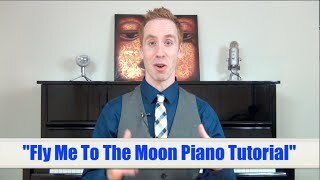 Fly Me To The Moon Piano Tutorial - Jazz Secrets Revealed!